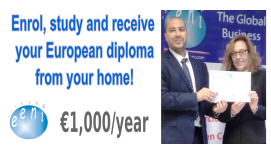 Syllabus of the Online Course (Subject): Mohamed Ali Harrath (Muslim Businessman). The African Businessman Mohamed Ali Harrath belongs to Maghrebian Economic Area (Islamic Civilisation and African Civilisation). 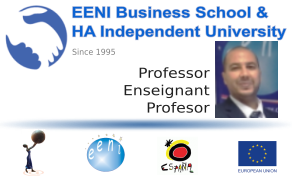 More information about Tunisia (African Portal - EENI Business School & HA University). Oussama Bouaziz (Tunisia), Doctorate in International Business, receiving the diploma from Susana Fernández.